Mitsubishi President Osamu Masuko says continuing cost cuts will keep the automaker profitable. Despite the global slowdown, Mitsubishi is targeting profits through cost cuts for the fiscal year that ends March 31, 2010. Figures are in millions. Note: Results translated at an exchange rate of $1 = ¥165;97.29, the rate on March 31, the last day of the fiscal year. TOKYO -- Mitsubishi Motors Corp. sees its U.S. and global sales falling again this year but says aggressive cost cutting will return it to a profit in the fiscal year that just started. U.S. sales are seen tumbling 29.8 percent to 59,000 vehicles during the current fiscal year, which began April 1, Mitsubishi forecast last week as part of the release of its financial results. The sales slide would follow a 32.3 percent fall to 84,000 in the year that ended March 31. Yet despite the falling sales, the Japanese automaker is targeting better earnings. Mitsubishi expects net income in the current fiscal year to rebound to ¥5.0 billion or $51.4 million at current exchange rates. Mitsubishi swung to a $564.1 million net loss in the fiscal year just ended from a profit of $356.8 million a year earlier. Operating income is seen rising to $308.4 million this fiscal year after dropping 96.4 percent to $40.4 million in the year just ended. Mitsubishi was the first Japanese automaker to report earnings this season and is expected to be one of the few posting an operating profit for the year that just ended. Mitsubishi has been slashing production in the United States and Japan to match collapsing demand. It also has hacked r&d spending and withdrawn from programs such as the Dakar rally to trim expenses. 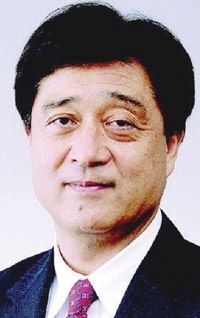 President Osamu Masuko said further cost cuts will keep Mitsubishi in the black. The company is looking to save $452.3 million in administrative, manufacturing and labor costs to help deliver a profit this fiscal year. Mitsubishi also is counting on a lift from a 16 percent increase in sales in Japan, where government stimulus measures are seen buoying the market. But on a global basis, Mitsubishi sees volume falling 12.6 percent to 932,000 vehicles this year from 1.066 million a year earlier. North America and Europe are forecast to post the steepest declines. Mitsubishi predicts that worldwide revenue will decline 24.0 percent to $15.42 billion this fiscal year after dropping 26.4 percent to $20.29 billion in the year that just ended.